In a world where professionalism often precedes personal character, does the word “calling” mean anything to you as a Christian, especially if you are serving the Lord in a full-time ministry capacity? Or has the spirit of the age entered your life and church, so that those who serve are self-called, man-called, or mere professionals in the garb of pastors, preachers and ministry practitioners? In an age of resumés, and search outfits and placement organizations, does God still call His servants? And how do we tell the difference between a God-called servant of the Lord, and a mere professional in ministry? There I was at 21, having finished my Undergraduate degree in Mass Communication. I was writing as a freelance journalist for a national newspaper in India, The Hindu. I was loving it. My articles were being read all across the nation, I was getting paid relatively well for it, and my ego was fed. I went to bed the night of June 28th, 2008, with my life headed in this direction. Early the next morning, on June 29th, the Lord woke me up using a nightmare to get my attention. When I woke, the two words that resounded in my ears and in my heart—not audibly but impressionably—were “preach” and “ministry.” Instantly I knew something in the world was different and a significant shift in the direction of my life had just occurred. I had just been called by God, and I knew it. In a nut shell, this is how God chose to call me to serve Him full time. This is how my Creator, Savior, and Lord chose to change the vocational direction and trajectory of my life. I had no more reason or desire to resist. Was I perhaps confused by this change? Sure. But I had a willing heart, and all those defenses of not ever wanting to be a preacher or Pastor dissolved into thin air, never to be found again. Since then, over these past 10 years, though the road has been anything but easy, God has affirmed His calling upon my life to preach, and to be in the ministry. God has affirmed His calling by His Word, by the witness of other Christians and the wider body of Christ, and also by His Holy Spirit as I walk with Him in communion, day after day, and by fruit that has been borne, for His glory. My experience of being called by God is not unique. My specific circumstances may be unique. But God has always called his servants throughout Church-history and before. Some God calls from the cradle, affirming, “He will be the preacher.” Some God calls on a bed of suicide. Some, like Martin Luther, God-called by scaring the wits out of him. With Luther God caused a lightning bolt to strike the ground close to him in the midst of a thunderstorm. Whatever means God uses, His call always connects with the intended recipient. In the Bible we find God called many to serve Him. Now when I say God “calls,” I must disambiguate. In this context, I am not talking about the general call of God through Christ, inviting all sinners to repentance. Jesus said in Matthew 22:14, “For many are called, but few are chosen.” That call is in the context of people being invited to trust in Jesus as their Savior and Lord. If you have never trusted Christ for the forgiveness of your sins, today you are called to do so. If you do not accept the invitation to the call, you will be excluded from the celebration on the other side of this life. Whether you are chosen or not is a question of how you respond to that call of His. But the call I am talking about in this context is different. It is the call that His servants receive, which sticks with them through life, and buoys them over the rough seas of life and ministry, giving them enduring power to reach the other shore. God called to Moses out of the burning bush (Exodus 3:4), and later said to him, “Come now, therefore, and I will send you to Pharaoh that you may bring My people, the children of Israel, out of Egypt” (Ex. 3:10). That was God’s call for Moses to serve Him. After Moses died, God-called his protégé, Joshua, to serve Him, “Moses My servant is dead. Now therefore, arise, go over this Jordan, you and all this people, to the land which I am giving to them—the children of Israel” (Joshua 1:2). Joshua was to succeed Moses and lead Israel, but God had to call Him. There was no resumé filling, and search process from the “ministry experts” of his day. All of Jesus’ disciples were called by Him. To the fishermen brothers, Peter and Andrew, Jesus said, “Follow me, and I will make you fishers of men.” The Bible says, they left their nets and followed Him. Similarly of James and John the Bible says Jesus “called them,” and they too, with alacrity, heeded the call (Matthew 4:18-22). Later, Jesus affirms His calling and choosing of all of His disciples in John 15:16, “You did not choose Me but I chose you, and appointed you that you would go and bear fruit, and that your fruit would remain, so that whatever you ask of the Father in My name He may give to you.” With the Apostle Paul, his conversion and calling seem to be synonymous, when he saw the Light on the road to Damascus and yielded. All of this to say, God chooses and calls men and women to serve Him in specific roles and capacities. And whom God calls to specific roles and ministries He most assuredly equips and gifts to carry out His calling. But there is a crisis of calling in today’s professionalized world of Christian Ministry. By that I mean, there is not an emphasis laid on being called by God. Today we seldom hear of a man or woman’s calling to the ministry as being the foundation of all other considerations for their being installed in a particular ministry position or role. 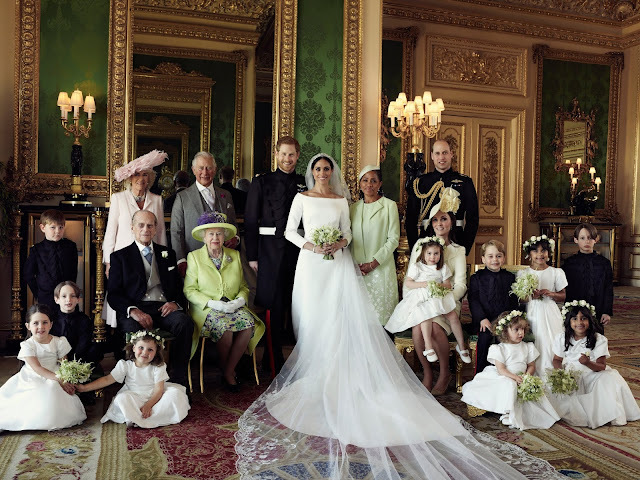 We hear of their achievements, the letters behind their name, their notoriety, their ability to keep up with cultural trends, their level of experience and a plethora of other criteria. But the one criterion that God requires of all His servants, that of His calling upon their lives, is either never talked about, or if it is, it is often insufficiently delved into. You say, “How does calling really matter today, so long as a particular ministry position and role is filled by someone who is decently competent, willing, and even interested?” Would you say that to the President of the United States while he decides on who to call to be part of his cabinet? There are plenty of people who are interested in serving, as say, Secretary of State. Would you say, “Oh, Mr. President, so and so is very interested in this position. Please call him.” You wouldn’t dream of it, neither would the President hear you. He must call who he is convinced will serve this nation and our interests to the best of their ability. Even if it’s a weak analogy, how can we think any less when it comes to the service of the King of kings and Lord or lords? Dare we thrust just anyone into the service of the Lord, especially into the capacity of leading as a preacher or pastor, without first investigating their calling from God over and above all other peripheral qualifications? It matters much, because if not called by God, one’s motivation will be always askew no matter how hard they try. There are many who are self-called and man-called, simply to occupy positions of power and prestige, while some enter the ministry for job-security. But God’s calling matters much because the eternal destiny of souls hinges on God’s calling on a man or woman’s life, especially if they are called to lead in some capacity. God’s calling matters much because only if you are called by God, will you be serving the body of Christ. Otherwise people will be serving you, and you will cause untold suffering to them in the wake of your “career choice.” God’s calling matters, because the glory of God is at stake, and how can one bring glory to God if you are trying to fulfill a role within the body of Christ that He has not called you to? How You can Tell if Someone is Truly Called of God? 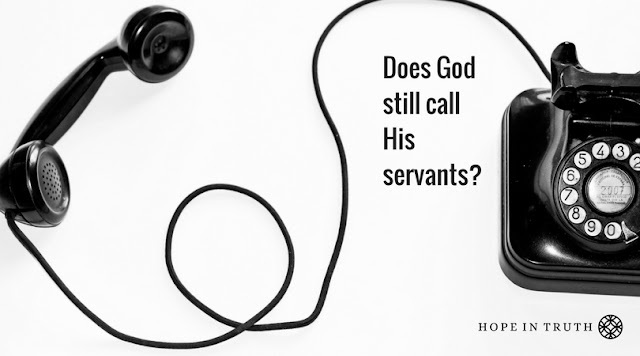 Since it matters so much, how can you tell if someone is truly called of God to serve Him? You say, “You are being unfair in setting such criteria up.” No. I’m not being unfair, I’m being biblical. And secondly, the vineyard of the Lord is not a court to dispute equal opportunity issues or fairness. It is about who God decides to equip to serve Him, to further His purposes, for His glory. It’s not about how I feel or how you feel about someone being in the ministry. “Oh, but you are only setting this up to put others down. You are being pompous because know you are called, and because you are celebrating ten years since God-called you.” No. Rather, I pray this will serve to help you, if and when God does call you to a particular role. Also, I pray it will help you discern who is called and who is not, to full time service, so that you can discern who to follow as a leader. Lastly, I pray for those who are indeed called by God to serve Him, that this will be a source of comfort, encouragement and affirmation. With that, I’d like to offer a battery of seven litmus tests (among others that exist) for whether one is truly called to the full time ministry or not. Has there been any true and observable spiritual growth in this person? In 1 Timothy 3, in listing the qualifications of an overseer, Paul says that he must not be a “new convert” (v.6). The implication is that he has had some time to grow in his faith. God sees to it that He completes the good work He began in all His children (Phil 1:6). But He makes sure those who He calls to lead the rest of His children spiritually, are growing spiritually themselves. People who are called by God will therefore display a humble and desperate dependence on God, manifest through prayer, praying in all circumstances (Eph. 6:16, Phil 4:6, 1 Thess. 5:17). Connected to much prayerfulness, will be an unmistakable unction upon the life of one called to serve. In the early church, even the deacons had to be men who had unmistakable unction, full of the Holy Spirit (Acts 6:1-8)! How much more preachers and pastors? —Only God knows what He’s about. When suffering comes, the called servant of God recognizes it, submits, and endures. He does not quit and throw in the towel to move on to greener, easier pastures. Those who are called as servants of the Lord, do not fear man or live to please man, because we know we are ultimately accountable to God, who we serve. Thus God instructed Joshua to be strong and courageous (Joshua 1:4-5). The three Hebrew young men were able to endure the wrath of King Nebuchadnezzar who threw them into a burning fiery furnace, because they feared God and lived to please God, not man. When we live with the fear of man, we are controlled by the tyranny of having to please people all the time. And if you must always please man, could it be that you have been called by man to serve in full time Christian ministry? Tied to not having to please man or fear man, the God-called servant of the Lord has the courage to resist the changing tide of culture that attempts to make its way into the Church. Very often the logic of pragmatism and a seeker-sensitive model of ministry dictates that Christians should use worldly methods to attract the people of the world. As a result, we find church leaders and preachers becoming more and more like the world in the front they present to the world. When God calls His servants however, we realize that the best way to attract people is by staying true to who we are in Christ, and by lifting Christ up in our lives and ministry. Christ said if He is lifted up, He would do the working of drawing all people to Himself (John 12:32). One who is called by God, does all things, lives his or her very life for the glory of God. He will not be one who lives for self-aggrandizement. One of the marks of someone not called by God, is that they constantly self-aggrandize to affirm themselves. Everything in their version of “Christian Ministry” is about them. There is no self-diminution. The “He must increase, but I must decrease” of John the Baptist is the dictum of we who are called by God to serve Him (John 3:30). In the case of those not called by God, it is blaringly evident that the dictum is “I must increase, at His expense.” What can be more important than the glory of God, Soli Deo Gloria? Nothing. This burns in the heart of God-called servants and keeps us truly humble. In a sobering passage, Jesus says He would disown those who served in His Name but never knew Him nor were ever called by Him to serve Him (Matt. 721-23). Just before that, Jesus said that we could discern their genuineness by their fruit, “So then, you will know them by their fruits.” Overtime it becomes evident through word and deed, through character and lifestyle, whether one is truly called by God or not, by the fruit their life produces. For those called by God, we know the only way to bear fruit, is by abiding in Him who called us, “For severed from Me,” Jesus said, “you can do nothing” (John 15:5). Along with fruit, another important litmus test of one who is called by God to serve Him, is the kind of foundation we build our lives and ministries upon. On the other side of that sobering passage referred to above, Jesus indicates that the ones who He does know and has called, have built their lives upon the foundation of His Word, “Therefore everyone who hears these words of Mine and acts on them, may be compared to a wise man who built his house on the rock.” The only guide book and instruction manual for one called by God is the rock of God’s Word, the Bible. Not popular Christian leadership journals based on secular business leadership models, not the findings of the latest research in leadership. Just the Bible. Sola Scriptura.